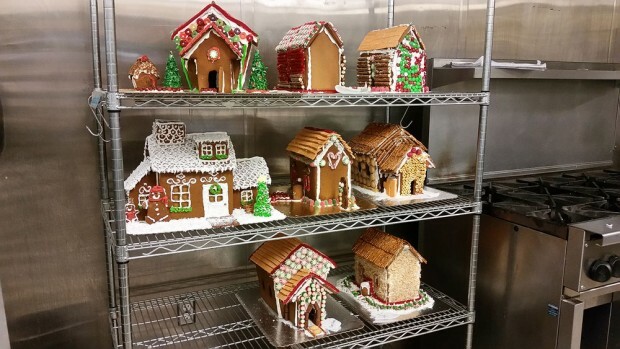 Culinary arts students at Salt Lake Community College built a gingerbread village this season to sweeten the lives of cancer patients. 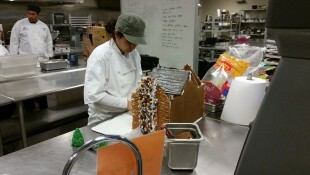 Students in the baking class will showcase their arrangement of gingerbread houses for the community at the Wellington Senior Center, where they are hosting their annual Holiday Open House. The houses will be auctioned off to benefit the Cancer Wellness House. 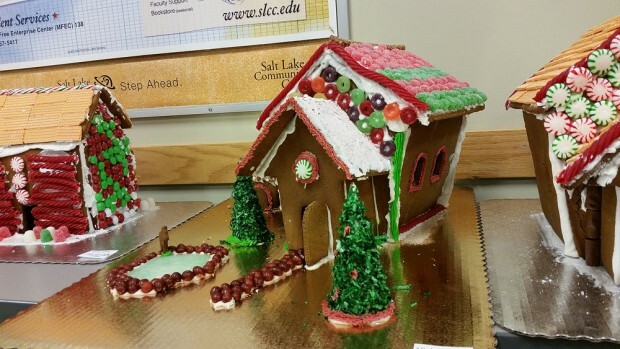 Click here to view more houses from the SLCC gingerbread village. “Our goal is to make a splash in the community,” says Culinary Arts program manager Bob Burdette. Along with the auction, the Wellington offers a $500 prize for the grand winner in a gingerbread house contest. The striking array of gingerbread houses will not only get your mouth watering but will let you delve into the imaginations of the culinary arts students. According to Burdette, completing this project allows the students to showcase their learned talents by incorporating different skills. The purpose of the gingerbread house assignment is not so much for the taste of the final product, but more to allow the students to experiment, create and learn about the structure and strength of the gingerbread. For many families, gingerbread houses are an annual tradition. The display is a way to get everyone in the holiday spirit and also brings excitement for this time of year. For 25 years SLCC has housed a state-of-the-art culinary arts program that prepares students for careers as chefs, food and beverage supervisors in a wide range of industries. The gingerbread house display is located at the Wellington Senior Center at 4522 South 1300 East in Salt Lake City. The live auction will be held Thursday, Dec. 10 from 4 to 7 p.m.
All proceeds from this event will go to the Cancer Wellness House.